On the left we have a Jabberwocky. Based on his appearance in the Zenescope Wonderland comics, but done without a reference, so there are probably lots of mistakes. 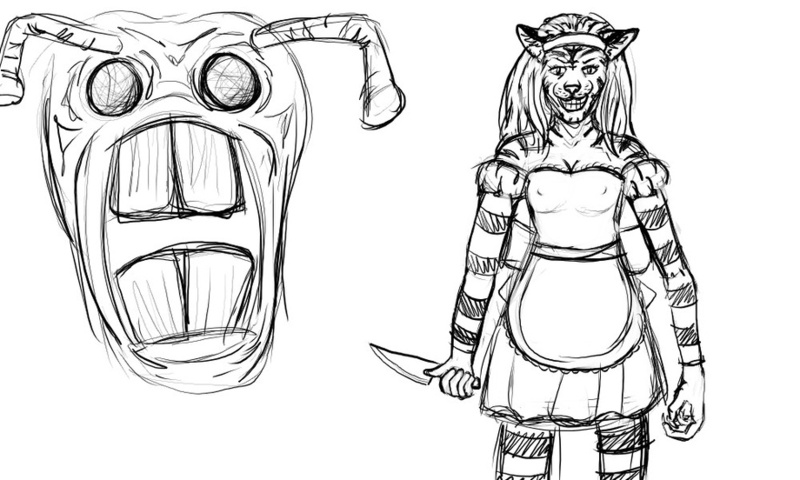 On the right we have a composite character with elements of both Alice and the Cheshire cat. Not really related to the Zenescope Wonderland characters, just my own interpretation of Wonderland.